The Leading SAFe 4.5 training in Eindhoven at Knowledgehut gives a complete outline of lean-agile thinking in the context of the lean enterprise. This two days' course is for companies ready to scale Agile across the entire organization using Lean-Agile principles and practices of the Scaled Agile Framework (SAFe). Candidates will be enlightened on how to execute and release value through Agile Release Trains, how to build an Agile portfolio, how to lead the Lean-Agile Enterprise and how to build large solutions. KnowledgeHut uses the best resources for Leading SAFe 4.5 training in Eindhoven to help you learn effectively. Candidates will be trained through classroom and e-learning classes, as per their convenience. 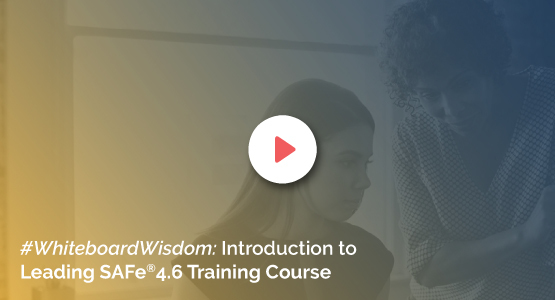 After completing the Leading SAFe 4.5 online course in Eindhoven, you will be able to illustrate how Lean, Agile, and Product Development Flow form the foundation of SAFe. Leading SAFe 4.5 agilist certification in Eindhoven will provide a major boost to your CV. The Leading SAFe 4.5 workshop in Eindhoven at our academy is worthwhile before going to take the exam. The cost of Leading SAFe 4.5 course in Eindhoven is moderate and the course fee includes the SAFe Agilist exam fee. Also, the registered candidates will get the benefit of one year membership with Scaled Agile.